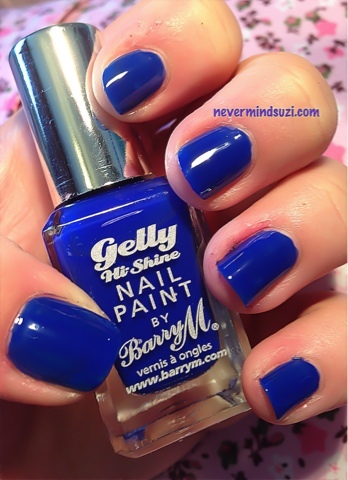 I've got a Barry M Gelly in Blue Grape for you today. 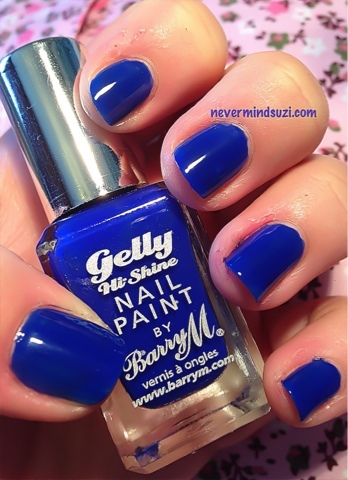 For those of you familiar with Nails Inc its quite similar to Baker Street though it doesn't quite offer that same "pop". All in all however it's a stunning colour!! And was perfect in 2 coats. 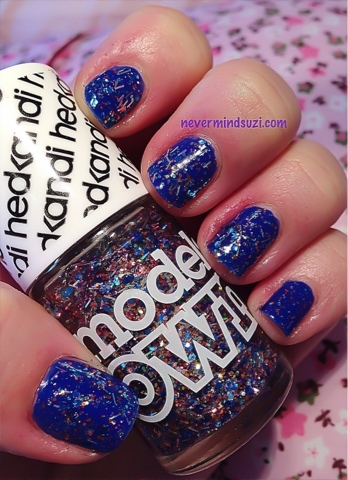 Models Own Sunset Chillout is a clear base saturated with glitter. Predominantly blue hexes and gold bars, but as a subtext there are green, pink, orange, blue, gold and red glitters. So much in fact that this was only 1 coat of this fun top coat. 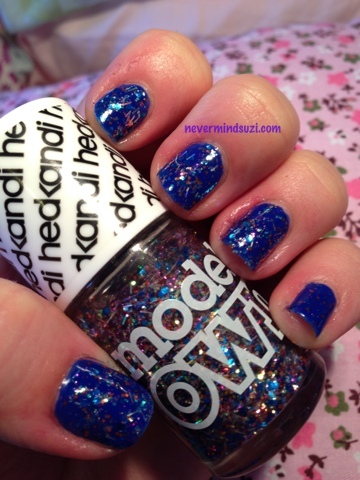 These pics don't quite do this combo justice the way the blue pops and the glitter sparkles. It really does have to be seen to be believed! Lovely combo, that blue is gorgeous.